What do we really need if digital integration is going to be successful at your school? What I am finding, is that you need excellent training on a small scale, maybe even as small as one school. This year, we have trained our teachers on Mathletics, Discovery Education and Atomic Learning – just three programs. When I mention to other people that we need to make the school the locus of professional development for better digital integration, I get all sorts of objections. Our school is too large, I’m not the expert, it will be too expensive, let the district do it – it goes on and on. All these objections allows people, especially administrators to do nothing, then blame the district for not training their staffs. Training is not as difficult as one might think. Many companies, including all three of the ones I have mentioned above offer personalized webinars for staff who want to get a better sense of the software. Discovery Education has the DEN Ambassador Program that actually supplies lessons with excellent resource material to lead teachers that can be used to introduce educators to some of the important components of Discovery. We finished our three lessons on our last PD Day and now all of our teachers have a good understanding of some of the components of Discovery along with a clear picture of where they can go to find out more. Atomic Learning is an excellent tool that our teachers were introduced to on Friday through an interactive webinar. This is the only program we have had to purchase, the others are available to all teachers in our district – this however does not mean that they will be using it, there is no training plan for these teachers. Atomic offers modules in a whole variety of areas, some do not involve technology at all but address important areas like assessment, class discipline and teaching methodologies. The also offer really interesting modules on topics like using Minecraft in the classroom. The beauty of this system is that staff have been introduced through a variety of workshops to programs they can explore for the remainder of the year. While we have used some of our PD budget for these introductory workshops, the rest of our time will be allocated to staff who want to explore these and other digital programs they are using in the classroom – Hapara is another program that comes to mind. The most important point is that this is not difficult to do. Companies like Mathletics and Atomic and more than happy to offer webinars and help you with any technical programs your teachers may have. Just take the first step, start working with your teachers to arrange training on the programs you are working with. Consider a training platform like Atomic to teacher people about programs that you don’t cover in your focused workshops. Whatever you do, don’t wait for someone to show up to do this vital work for you. webinar set up by Atomic learning – we spent the first 45 minutes of the day going over the features of the program. Teachers are free now to contact Atomic to set up their own webinars on topics of their choice. How have you integrated with students what you learned from our last session? What have you learned or shared in Edmodo? Which strategy did you implement? How did you tweak it to make it your own? Did you complete the Interactive Training? • Did you learn anything new about integrating digital media? This event continues building on the integration strategies and expands knowledge of the depth and breadth of the resources available through Discovery Education. The content is delivered through 5 video segments. It is designed to give Ambassadors examples of digital integration strategies within multiple subject and grade levels. Time will also be provided for Ambassadors to share a strategy they tried from the first session. In the next portion of the event, you’ll play 5 video segments that provide an overview of the variety of resources within Discovery Education. NOTE: Depending on what services you have access to, will determine how many of these resources will appear within their individual searches. 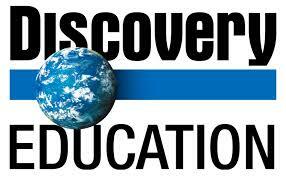 Remind Participants they have access to virtual events from Discovery Education. In session three, ambassadors will learn more about enhancing the student experience and share personal successes. This session will review resources shared that walk them through My DE for Students, how to share content, and highlight some of Discovery Education’s great educational partner programs. The culmination of the program includes an opportunity for each participant to showcase what they have learned and how they have implemented their new learning in their classroom. Script Next, we will be watching “Going Digital: The Next Chapter in Teaching and Learning” from Discovery Education’s Senior Vice President of Partnerships, Scott Kinney. Script: Your final assignment for the program is to complete a reflection of the Ambassador program through a Transformation Story. Begin filling in your thoughts about the program. 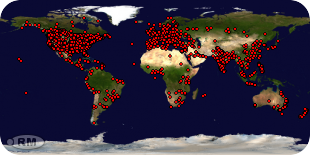 Ask Ambassadors to EMAIL YOU their final reflection.